The near-term goal of this One Tam collaboration between Marin County Parks and the Golden Gate National Parks Conservancy is to work with the community to develop a long-term vision for the Bothin Marsh Open Space Preserve. Much of the early work in this collaboration has focused on getting a better understanding of Bothin Marsh through scientific research and developing relationships between the various public land stewards and organizations that hold a collective interest in the Preserve. To better understand the unique tidal marshes within the Preserve, the Marin County Parks collaborated with a group of scientists to review the science related to the natural history, evolution, and opportunities for habitat enhancement of Bothin Marsh and adjacent tidal marshes in upper Richardson Bay. The report prepared by Watershed Sciences entitled “Bothin Marsh Geomorphology, Ecology, And Conservation Options” provides a synthesis of the historic and current state of the tidal marsh ecosystem at Bothin Marsh and discusses the threats of sea level rise to tidal marsh conservation and restoration. This report provides an important tool for the planners, scientists, and engineers working on management strategies that adapt to sea level rise at Bothin Marsh. Portions of this report are available here. According to the best available sea level rise projections and the current observable effects of more frequent tidal inundation, there is relatively little time to act and preserve the tidal marsh ecosystem at Bothin Marsh. However, there are several short-term measures that should be implemented as soon as possible to buy time for the habitats and species living in Bothin Marsh. These short-term measures are recommended as pilot projects that could protect habitat during the next 10-inches of sea level rise while performing as a living laboratory to inform science and restoration techniques. The Marin County Parks are actively pursuing funding to study, design, and implement these pilot projects. 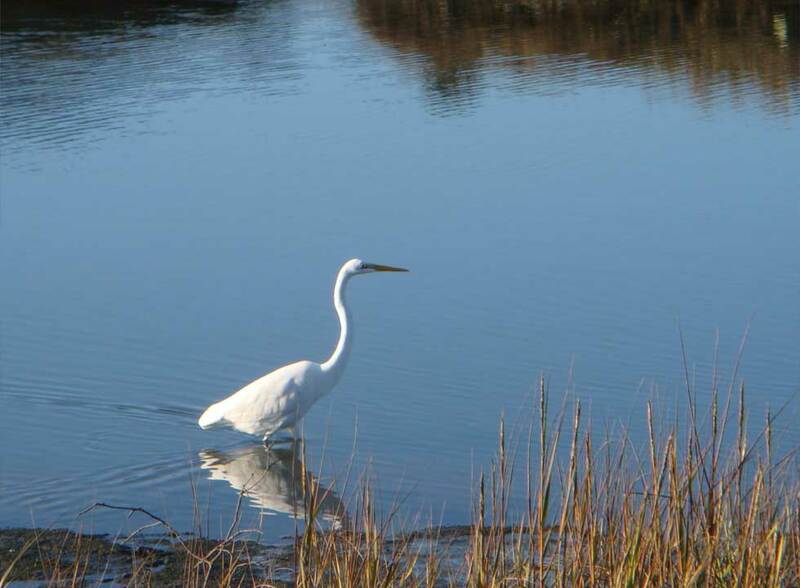 Bothin Marsh provides many ecological, social, and economic benefits to our community. It’s future, during the next 36-inches of sea level rise and upwards, is largely dependent on how the surrounding Tam Community adapts. For instance, the capacity of the marsh to absorb flood waters will be significantly impaired unless we restore its natural ability to grow in elevation or we make space in developed upland areas for the marsh to migrate. without a major investment in the realignment and/or elevation of the path. Therefore, the long-term evolution of Bothin Marsh and the community shoreline should be guided by a sea level rise adaptation vision that is developed by and supported by the Tam Community. Sea level rise is a collective challenge to our community and its impacts are felt by all, just as anyone who has experienced a flooded Shoreline Highway knows. This is a conversation for the entire community and we look forward to discussing the science-based impacts of sea level rise, and to hearing your ideas for solutions. The Evolving Shoreline series is an opportunity to discuss what will happen to the Tam Community shoreline. We want to share some of the ideas for nature-based solutions to sea level rise and explore how we can develop adaptation strategies that have multiple benefits to our ecosystem and community. We also want to learn what it is that makes living in Tam and Mill Valley special and what deserves special attention for protection in the future. We are entering this conversation with in fall 2018, but it is just the beginning of a process of developing a vision that adapts to sea level rise over time and will work into the planning efforts, conversation and strategies Marin County is embarking on. How do we get to a sea level rise adaptation vision that the entire Tam Community supports? The community engagement - beginning with the Evolving Shorelines events is intended to not only develop a shared understanding of the challenges sea level rise poses to Bothin Marsh, but to also get a sense of the values and issues shared by the community. With this foundation the “vision team” will engage the public in a process to define desired future conditions, develop vision consensus, and publish a vision for Bothin Marsh. This public visioning process is anticipated for early 2019.